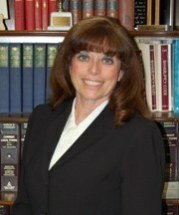 Owner, Law Offices of Grace Anne Glavin, P.A. With years of experience as an attorney, Grace Anne Glavin, Esquire has developed a reputation as a highly regarded member of the Florida legal community. Attorney Glavin serves the unique needs of businesses, families, and individuals in real estate closings, estate planning and probate, family law matters, and business law. As founding board member of Central Florida Real Estate Council, Ms. Glavin has chaired the Law Symposium for the Orlando Regional Realtor Association for two years and has participated as a key note speaker on foreclosures and mortgages for five years. Attorney Glavin has been a recognized expert for over thirty years regarding mortgage foreclosures and has lectured to the National Mortgage Banker Association and the Orange County Bar Association.